When you receive an event invitation from #AdamandSteve, you know it’s game on. 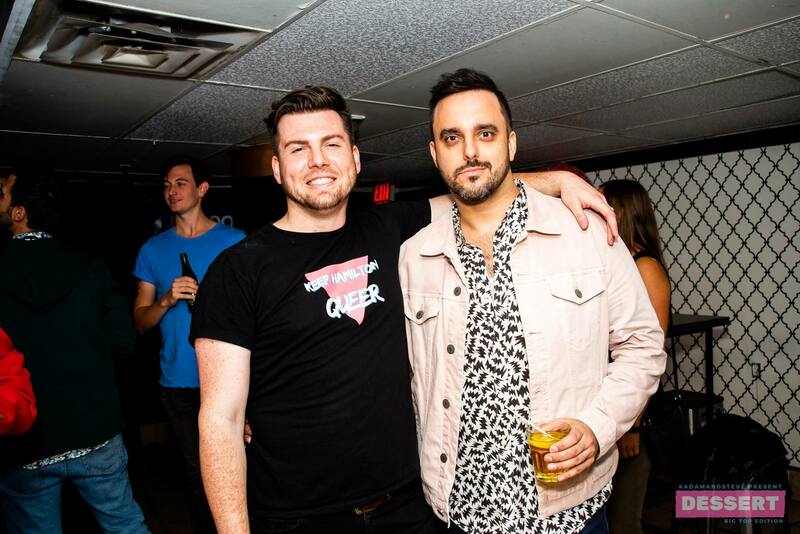 Party planners by nature, Adam George and Steven Hilliard’s get togethers in their Corktown neighbourhood home became known as the place to be among their friends. “We love the idea of being able to come together with friends, have a drink or two and celebrate, not celebrate anything in particular, but just celebrating being alive and having fun,” describes Adam. It was a logical step for the couple to branch out and bring their signature shindigs to venues in Hamilton. Adam and Steve at Absinthe. Photo by Kieran Noble.